The love/hate relationship that most hold near and dear to their heart with the sport takes on many faces. The introduction of social media to the game and also the ability to stick a microphone in the face of both the winners and losers immediately following competition is fascinating. 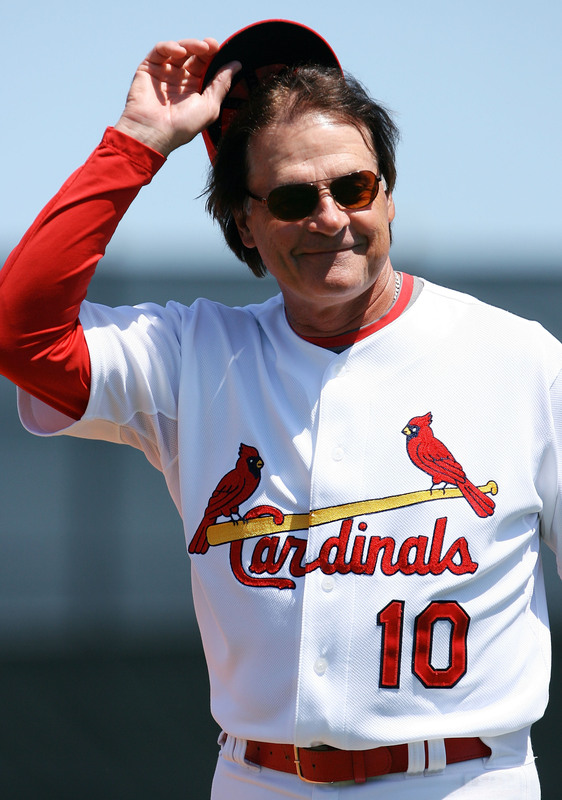 No one represented this better than La Russa over the course of 16 tense and sometimes downright magnificent seasons. As the skipper of the Cardinals, TLR played the role of evil genius perfectly with the media and drove fans batty 99.99% of the time. But because St. Louis is first about baseball, that .01 is all anyone will remember about #10. I wanted to find a few different pictures of the famous scowl or even maybe one of the former Birds on the Bat farmhand (who knew!) but ultimately, we tip our cap to the manager just as much as TLR gave us literally everything he had. There will always be some who felt the outsider never grasped Cardinal Nation by still living in California during the Winter, but most players take off for warmer weather as soon as possible just the same. We have all heard the arguments from the select minority about how TLR thought he was smarter than everyone else and honestly, who are we to think any differently! During the two championship campaigns, St. Louis rarely looked like the team that was going to prevail at the end. If the continuity of staff and common practice of playing a hard 9 didn’t win you over, the loyalty to his players no matter the circumstance has to resonate. I’ll admit to never being fully on the TLR bandwagon until 2006, and those Tony TV segments sealed the deal for me. I’m a former sports writer from way back, but I still smile when watching this. Enjoy as we are about to hit single digits!